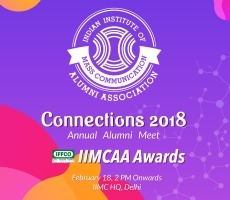 New Delhi, Feb 17 : Indian Institute of Mass Communication Alumni Association (IIMCAA) will announce the winners of its ‘IFFCO IIMCAA Awards 2018’ during the 6th annual alumni meet – IIMCAA Connections 2018, which will be held on Sunday, 18th February at IIMC HQ in New Delhi. With the motto of communicating through its annual meet, the IIMCAA emphasizes on creating a bond between the ex-students, current batch and the faculty. IIMCAA Awards also recognises the achievements and contribution of IIMCians in mass communication industry as well as in the society. IFFCO IIMCAA Awards 2018 will focus on three categories – Reporting, Production and Advertising & Public Relations. A total of 21 awards are divided into these three categories. After the huge success of IIMCAA Awards 2017, Alumni Association has increased no. of awards to 21 from 10 this year. With the addition of new awards, entries have also increased to 114 from 72. “The Alumni Association has spread its wings to all corners of our country as well as nations like the United Kingdom, Australia, Singapore and Uzbekistan. As India was the leading nations of Non-Aligned Movement, IIMC has taught hundreds of international students through its Developmental Journalism course. Ex-students still cherish their days at IIMC and wish to be associated with the institute. Our aim is to re-connect with them and establish international chapters in Africa, Latin America, Europe and Asia. IIMC is now a global media institute and confluence of alumni from all walks of life will enhance the brand IIMC” , Vashishth added. “Organising an event at this scale is a challenging task. Here we are grateful to the dedicated Team IIMCAA, who are committed to this tough job. 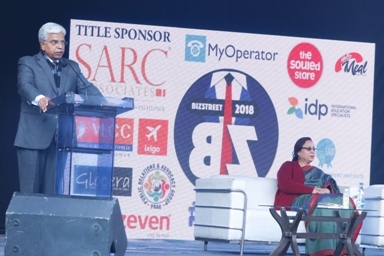 We also appreciate our sponsors – IFFCO, Indian Oil, Reliance Industries, GAIL, SAMSUNG, ONGC, Adfactors PR, befikr.in, PFC, Coca-Cola and HCL – for helping us to organise this mega event. I would like to welcome all the alumni of this great institute at the annual alumni meet and relive their moments here,” Nitin Pradhan, Principal Organiser, IIMCAA Connections 2018, said. This year, IIMCAA has also introduced – ‘Alumni of the Year Award’ and ‘Public Service Award’ to recognise voice of those, whose work made noise. They are the silent protagonists who are setting the standards high in mass communication industry. “‘Alumni of the Year Award’ will honour the work of one such alumnus which speaks volumes and is remarkably impactful. 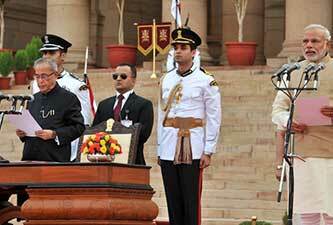 ‘Public Service Award’ will be presented to the one, whose contribution to the society is unique and developmental on the whole. Their work will definitely inspire the generations to come,” Ashish Chakravarty , Convenor, IIMCAA Award said. To appreciate rural & agriculture reporting, Agriculture Reporting Award has the highest cash prize of Rs 51,000, while Rs 21,000 is the cash prize for other awards.